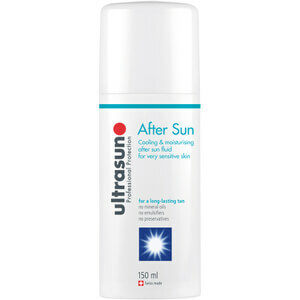 Sooth and cool irritated skin with Ultrasun Aftersun Duo (2x 150ml). 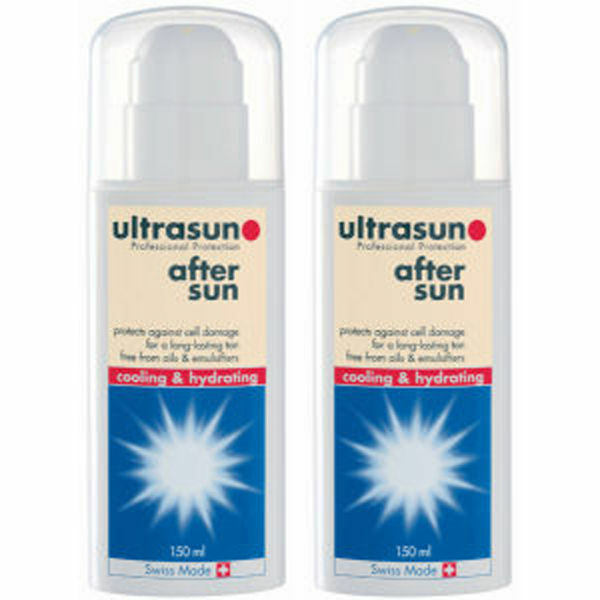 Use this easy to apply pack of 2 gel-lotions after sunbathing to restore skin back to its best. Aqua, Peg/Ppg-17/18 Dimethicone, Allantoin, Bisabolol, Lactoperoxidase, Lecithin, Superoxide Dismutase, Tocopheryl Acetate, Alcohol, Glycerin, Menthol, Paraffinum Liquidum, Parfum, Ppg-1 Trideceth-6, Sodium Acrylates Copolymer, Cyclohexasiloxane, Cyclopentasiloxane, Phenoxyethanol, Butylparaben, Ethylparaben, Isobutylparaben, Methylparaben, Propylparaben.